It’s all in the marinade. “It must be the marinade,” Villatoro said. El Golfo, which Villatoro’s brother opened in 2000 and she took over in 2004, focuses on dishes from the Puebla region of Mexico, east of Mexico City, she said. But El Golfo — “The Gulf,” in English — adds its own flavor. “Our sauces have French and Mayan spices,” she said. Emigrating from El Salvador in 1985 when she was a girl, Villatoro worked in the Washington, D.C., restaurant where her father was a bartender, first busing tables, then bartending, working as a cashier and prepping in the kitchen. El Golfo has struck a culinary chord in the community, with a demographic mix of clientele, including many American natives “who’ve loved” the restaurant, she said. Besides traditional Mexican dishes, El Golfo features Latin American specialties such as pechuga rellena — “stuffed chicken breast with fresh spinach and mushrooms in a rich cream sauce,” the menu explains — plus vegetarian and vegan options. 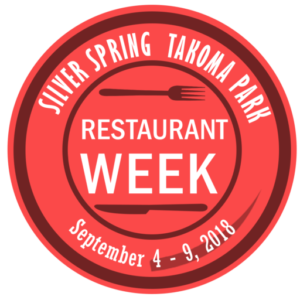 El Golfo has participated in all four of the annual Silver Spring-Takoma Restaurant Weeks. With summer a typically “tough” season — “many people leave for the beach” — she welcomed the idea when Councilmember Tom Hucker first proposed it in 2015. And in the challenging restaurant business, any boost helps, she said. El Golfo is at 8739 Flower Ave., Silver Spring. Its phone number is 301-608-2121 and its website is www.elgolforestaurant.com.